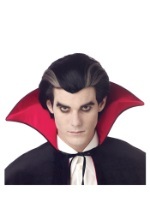 Get a movie-quality costume with these fangs! 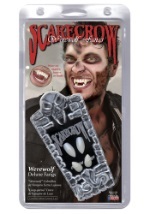 The fangs are custom fitting and reusable. 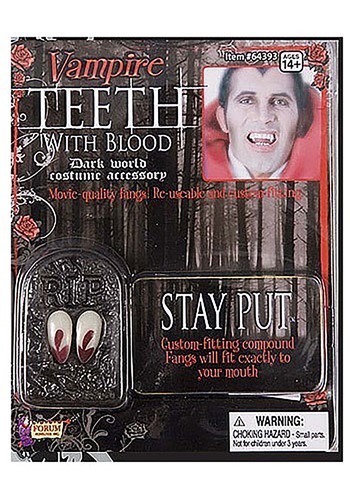 They are secured in place with "Stay Put" compound and have red paint for the appearance of blood. 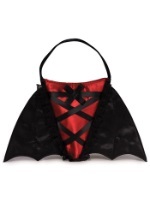 These are great with any of our adult vampire Halloween costumes. 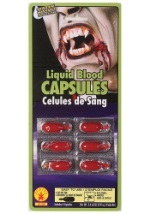 Add some dripping fake blood capsules from our accessories to look like you just finished feeding.